Though Britain was able to control the maritime approaches to its far-flung empire through the power and presence of the Royal Navy, land threats were a different matter. 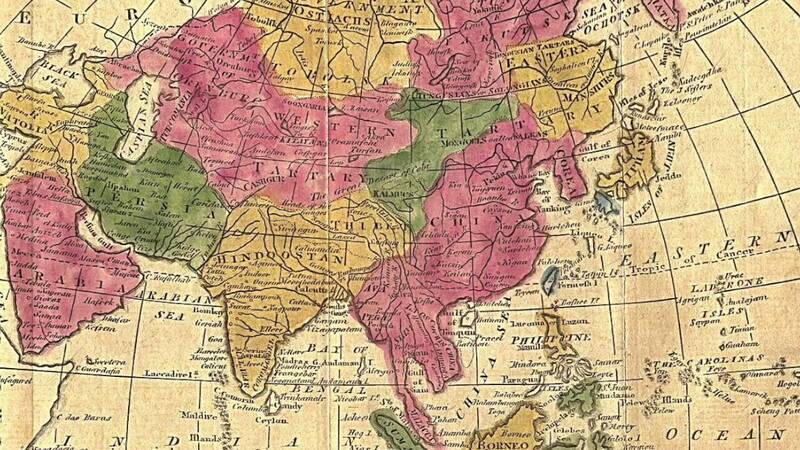 No part of the empire was more vulnerable to land invasion than its prize possession, India. Britain’s most serious strategic challenge to India in the nineteenth century was Russia’s relentless expansion east and south from its European base, which included the building of a modern railway system to provide easy access for the army to control the newly acquired Russian Empire. British-Russian rivalry over Central Asia, especially Afghanistan, was termed the “Great Game” by famed author Rudyard Kipling. In the early twentieth century Britain was also concerned about Germany’s encroachment into the Middle East, especially the proposed Berlin-to-Baghdad railway via Constantinople. This threat was never perceived to be as dangerous as the one posed by Russia, though had the railroad been completed it could have strengthened Turkey’s strategic position in World War I and increased the threat to Egypt and the Suez Canal (see map 7). To ensure against the potential threat to its empire, Britain shored up its defenses in the Persian Gulf. 12 It is noteworthy that with the breakup of the Soviet Union and the growing conflicts among the new independent republics of the Caucasus and Central Asia, the term “Great Game” has reemerged in Western discussions about the geo-political importance of the region. Despite these pressures, however, there were not more than fifty miles of British railways in India’s frontier region, and it was not until the appointment of Lord George Nathaniel Curzon as Viceroy of India that railways were recognized as a vital component of India’s defense. As a young aspiring statesman, Curzon had traveled the length of the Trans-Caspian railway during the summer of 1888, curious to gauge for himself the extent of this great Russian threat. Upon his return he wrote that the existence of the Trans-Caspian line had “dramatically altered the strategic balance in the region.” 17 When the Russians completed the final 200-mile stretch linking Samarkand and Tashkent, they were able to move as many as 100,000 troops from as far away as the Caucasus and Siberia to the Persian and Afghan frontiers as well as artillery and other heavy equipment, once a nightmare to transport across vast distances and rough terrain. The expansion of the Russian rail network was one of the key themes addressed by Halford Mackinder in his famous 1904 essay, “The Geographical Pivot of History,” which touted the growing importance of the major land powers of Eurasia.